← Salt in the wound give extra points, right? See how Mitt Romney never nominates a minority for Vice-President? White guy picks another white guy. And not just any white guy. 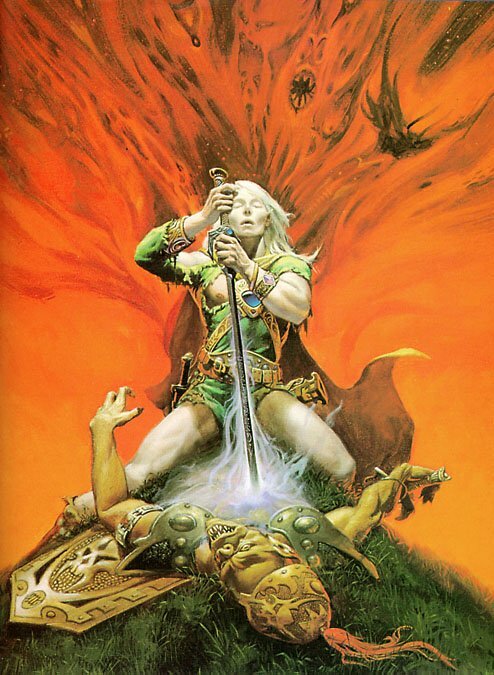 Paul Ryan is the whitest guy since Elric! And how is this important? Er…you got me there. Yet my spidey-sense tells me it is extraordinarily interesting to Obama & Co. And though the Administration will be all whiny passive-agressive about this outrage, the media and academic lackeys will hammer the point home. Of course, nominating Allen West would have proven that Romney is a panderer. Which is a minor reason why Rep. West was my first choice. The main reason being, of course, that he beats up old ladies and progressives for fun. Okay, now to rearrange almost all of my stuff, including the heavy things. If I’m not back later it’s because my back went out earlier. 5 Responses to See how Mitt Romney never nominates a minority for Vice-President? Don’t hurt yourself. Somebody is helping you with the heavy stuff, right? I sure know what you mean about the back only taking so much. We’ve been in our new place just over a week, and still have some massive rearranging to do. And IKEA furniture to assemble. We learned something new during this (our eighth?) household move. Never buy complicated bed frames from IKEA. Never ever. Naah, I’m slowly rearranging the room. Was watching too much TV anyway. Media here is already whining about Ryan. But if these goose-stepping asshats whine about him, then Ryan must be a great choice. I believe you’re right. We might see glimpses in the upcoming “debates”. Biggest point of critique I’ve seen: Ryan doesn’t like EU-style socialism! Whaaaaaaaa! I don’t like it either and I experience it every day!